Ryan Fischbach focuses his practice on environmental and commercial litigation and takes a creative approach to dispute resolution. He tailors his approach to the needs of the client and the nature of the case, efficiently and effectively advocating for his clients. Represents various clients in environmental litigation throughout the country, including actions in Arizona, California, Delaware, Michigan, New Jersey, Texas and Washington. Prosecutes and defends private party claims under federal and state environmental statutes, including Comprehensive Environmental Response, the Compensation and Liability Act (CERCLA), Resource Conservation and Recovery Act (RCRA) and state Superfund statutes, including, for example, California’s Hazardous Substance Account Act, New Jersey Spill Compensation and Control Act, and the Washington Model Toxics Control Act, as well as related contractual indemnity and common law claims related to environmental liabilities. Represented potentially responsible parties in mass tort actions and multi-party litigation involving exposures associated with contaminated groundwater and landfill Superfund Sites. Successfully defended product manufacturers and distributors in toxic tort and product liability suits in state and federal courts. Represents product manufacturers and distributors against claims of alleged violations of California Proposition 65 requirements, including defending state court actions and the negotiation of favorable consent judgments. Successfully defended multiple clients ranging from a national mall operator to a family-run business against Title III of the Americans with Disabilities Act and/or California Unruh Civil Rights Act claims in both state and federal courts. Obtained summary judgment on behalf of a large national insurance company in a putative class action asserting claims of unfair competition, breach of contract, and breach of implied covenant of good faith and fair dealing relating to the company's automobile claims processing policies, including a purported policy under which the company required the insured to transfer title to the subject vehicle prior to processing the insured's claim. Successfully handled the appeal of the default judgment against an individual who had pledged $5 million to the client, a nonprofit organization, and failed to make full payment. Obtained full affirmation of judgment for the client. Favorably resolved a putative nationwide class action against a temporary staffing agency relating to the company's policies for vesting commission payments for sales personnel, and alleged unfair business practices relating to alleged non-compete provisions in the company's employment agreements. 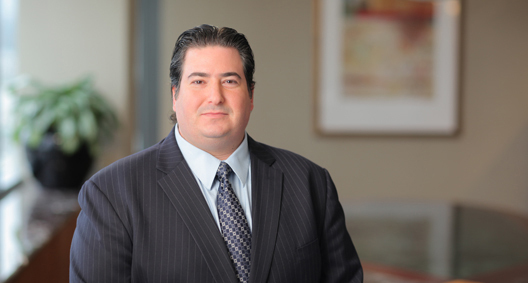 Successfully defended dismissal of the plaintiff's non-compete claims on appeal and resolved the matter on very favorable terms for the client upon remand of the remaining commission forfeiture and breach of contract claims. Represented the guarantors of a multimillion-dollar loan and utilized a strategic motion practice to leverage a negotiated resolution of the matter for a fraction of the guaranteed obligation.